October in Minnesota is beautiful. For most of the month, the lawns are still green but the trees put on a brilliant show of golden oranges, fiery reds, deep rusts and regal plums. While it’s true that our temperatures begin to drop in October, the weather is typically mild. It’s the season of scarves and sweaters, camp fires, crisp evening walks, and pretty pots of mums on the porch. Yes, we try to squeeze it all in before the first snow flies! As a pattern designer, it is always a thrill to see my patterns sewn up by other quilters. It’s exciting to see one of my creations come to life with a different color palette, fabric style or theme. It’s also quite a thrill when quilt shop owners kit my patterns and offer a custom option to their customers. In July of 2016, Allison Cotton made her quilting dreams come true by opening an online quilt store, My Timeless Day. Now, just 16 months later, Allison is expanding that dream by opening a new brick and mortar storefront as well! 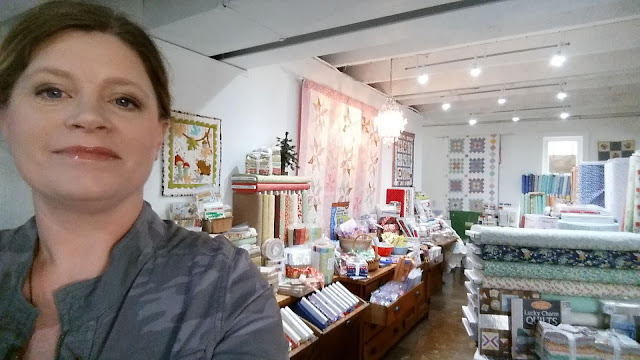 This weekend is the Grand Opening, and Allison was kind enough to share some photos of her lovely new shop, so that I could share them with all of you! Allison Cotton in her wonderful new storefront. 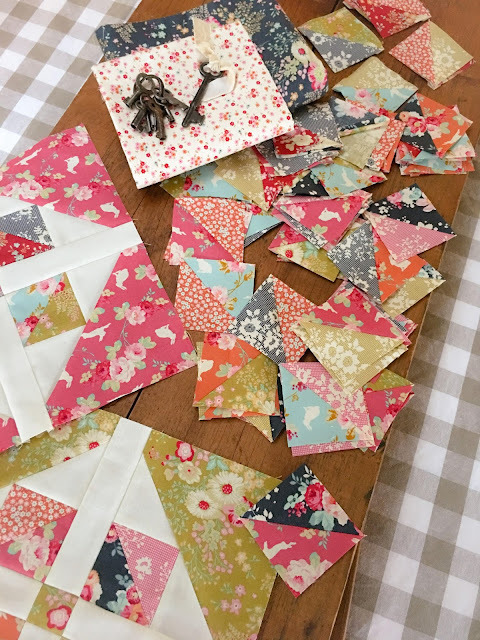 Last February I began a Window Garden quilt for myself, using some much loved (and hoarded) Tilda fabric. Because this wasn’t a gift and I had no particular deadline, I worked on this top in between other projects, here and there, as time allowed. Now my top is done and headed off to the quilter! I'm so pleased with how it turned out. Every time I brought out this project to cut or sew a little bit, I felt a renewed love for the fabric and the pattern.